After Hours Truck and Trailer Repair in Twin Falls, ID provides you with mobile trailer and truck repair. 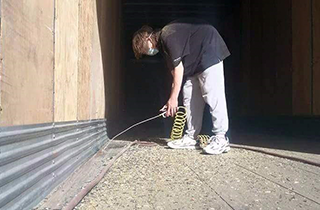 You will get a satisfaction guarantee and love what they can do for you! The professional team is ready to get you all set to go! They are excited to provide you with service that will last! 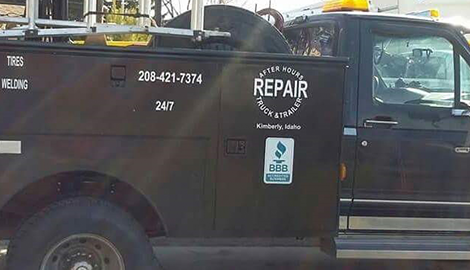 After Hours Truck and Trailer Repair in Twin Falls, ID is a professional mobile truck and trailer repair business that takes a “fast friendly serve” approach. 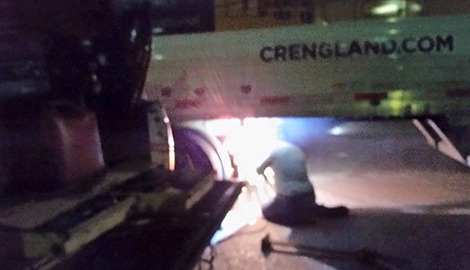 They have 21 years of experience and are one of the few mobile-only truck and trailer repair shops in the area. Whether you need them to fix an issue with your mobile home or commercial truck, they can do it for you in a timely manner at an affordable cost. With highly trained mobile repair experts, they guarantee you will not be disappointed. 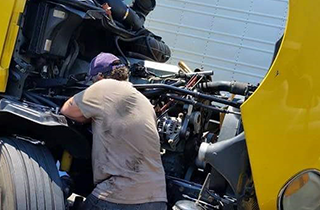 Whether you have one problem or many problems with your truck or trailer, all you have to do is reach out to them, and they will arrive at your location on the preferred day at the preferred time and start work on the issue right away. They will let you know what their repairing process will consist of ahead of time so you are aware of what to expect, and they ensure you have open communication. Their main goal is to build long-lasting relationships with their customers and maintain a trustworthy status. After Hours Truck and Trailer Repair is proud to offer regular deals and discounts on a daily basis to give you the opportunity to save a large amount of money compared to their competitors. They also make their payment methods as simple as possible and never ask for your payment until you approve of their finished results. 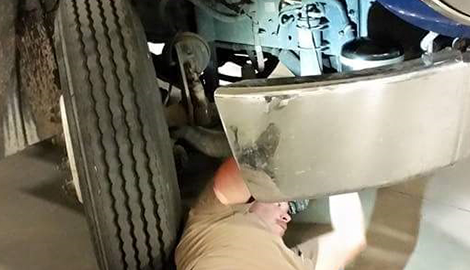 Your repair success is their business success, and they always work their hardest to give you a repair that will get your truck or trailer running the way it should be. 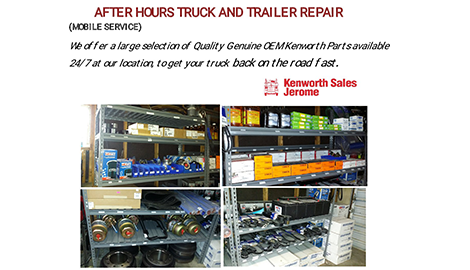 We now have a full line of truck and trailer parts, supplied by Kenworth sales. We also have upgraded our computer diagnostics, we have the newest software to diagnose and repair 2013 through 2015, Volvo, Maxforce, Cummins, Caterpillar, and Detroit 6,10, and 13 engines. 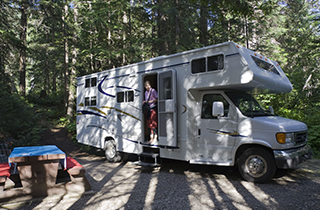 Have your mobile home repaired by After Hours Truck and Trailer Repair in Twin Falls, ID, and you will not regret your decision. They give $25 off for new customers!